Operations manager (Traffic Management) Midlands (Nationwide) £45 to £55K + car + all business expenses, 33 days holidays, company car, + Pension+ Healthcare con This is a truly unique opportunity to join a national leading organisation, as they look to become key players in the traffic management services sector. We are looking for a manager with traffic management expertise to join the business and help design, plan and project manage the implementation off the new business stream. This is a truly unique opportunity to join a national leading organisation, as they look to become key players in the traffic management services sector. Our client are looking to open a brand new business unit within their existing company. We are looking for a manager with traffic management expertise to join the business and help design, plan and project manage the implementation off the new business stream and once formed then take over the day to day running of the operation. The new traffic management service will allow the closure of roads and highways using temporary traffic lights and signage. The closure of these roads will allow repairs and installations to take place, funnel and redirect traffic, allow special events to occur like marathons, festivals, and marches. The service will include providing the closure of the roads through permissions granted from local authorities, and the supply of the necessary equipment to site. In this role you will work alongside a company service director to design, project manage, implement and then operate the creation of this new traffic management service. The role will involve liaising with the local authorities to ensure permissions are granted for road closures and alterations. You will need to play a part initially in the planning of these closures. There is a full support network to help you achieve this goal but you will provide traffic management expertise, including advice relating to NWSRA legislation and compliance. This is a national role where during the setup stages you are likely to spend a considerable amount of time in different parts of the country meeting a range of different stakeholders. You will be required to meet suppliers and establish relationships with the companies very extensive existing client base to grow the business. Once the business is functional you will take up the role of an operations manager and oversee all associated P&L, recruitment, supply chain, and business development. The ideal candidate for this role will have extensive and relevant traffic management experience and have previously been involved in managing or starting up a business stream of this nature. This will include experience with temporary traffic regulation orders, NRSWA, Sections 50's and a strong understanding traffic management act 2004. We would be very keen to meet candidates who have managed services of this nature in the past or at the least have a very solid understanding of the highways legislation in combination with strong commercial acumen. This role will suit a self-starter who is ambitious and likes to take responsibility and ownership of projects they are involved with. We are looking for someone who is passionate and enthusiastic and is able to drive a project forward. This role will not suit someone who needs to have their hand held and requires lots of guidance and support. We are looking for candidates who wish to prove themselves to a large organisation by getting involved in a new venture early in its creation to demonstrate their talents and capabilities. It has been suggested this role may suit someone from either a project or operations background but we are more than open to considering candidates from wider a field if they have the required experience. It has been suggested that candidates from either a traffic management, telecoms, civils, highways or local authorities could be a good fit for this position if they have the relevant experience. The Company is one of the most recognised brands on the high street with a history of providing invaluable value and support to the customers that they work with. The company has a reputation for promoting from within, while also investing heavily in the training and development of their employees. The company are now recognised as the national leading company in their industry and are continuing to experience unprecedented growth and prosperity. The will be with a starting salary of £45K-£55K depending on experience and expertise. All business expenses will be covered and you will also qualify for a discretionary bonuses, a company car or allowance, a company pension, 33 days holiday (including bank holidays) health care benefits, life insurance, mobile phone, laptop. Please be aware we receive a high volume of applications for every role advertised and regularly receive applications from candidates who exceed the job credentials. We will only contact you within the next 14 days if you are selected for a telephone interview. 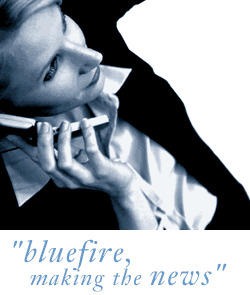 Bluefire Consulting is an equal opportunities Employment Business/Agency specialising in Transport and Rail recruitment on a UK wide basis.